We Have Been Serving The Local Communities Of Poway, San Diego, Rancho Bernardo, Carmel Mtn. Ranch, 4S Ranch, Rancho Penasquitos, Sabre Springs, And Escondido For Over 17 Years as the premier acupuncture clinic! Are You Looking For Natural Ways To experience More Energy, less stress, Look Vibrant, And Feel Great Every Morning? Perhaps You are struggling with one or more chronic health problems, but you are Tired Of Synthetic Drugs, And Toxic Chemicals With All The Side-Effects? We offer everything holistic, such as essential oils, Chinese Herbs, traditional gentle acupuncture, and acupuncture without needles. We have helped thousands of people just like you find more balance and peace in their lives. The advice shared in this site has not been evaluated by the FDA. The products and methods recommended are not intended to diagnose, treat, cure or prevent any illness or disease, nor is it intended to replace proper medical help. We promise to deliver the highest quality Acupuncture and Herbal therapies in a supportive, caring and warm atmosphere that delivers the results you need. 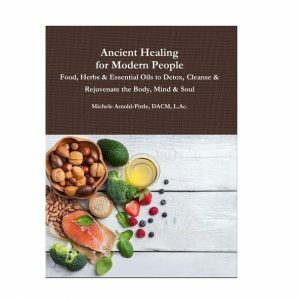 We combine the ancient knowledge and wisdom of Traditional Chinese Medicine with modern techniques. We incorporate time-tested Chinese Diagnostic Methods along with any pertinent Western Medicine lab findings to give the best care for our patients. We use traditional acupuncture needles as well as acupuncture without needles with micro-current color-light therapy (MEA) using the Acutron Device. We will always respect your time and needs. Treat you in a courteous, professional manner. Provide a positive, healing environment.